In many ways, high-tech plumbing is the biggest difference between a modern home and a 18th century hovel. Even the most rudimentary houses in this day and age feature plumbing infrastructure that would be inconceivable not that long ago. While plumbing systems might seem to be quite rudimentary, they’re actually quite complex networks that require a lot of care. When they need to be repaired or modified, an expert is required. 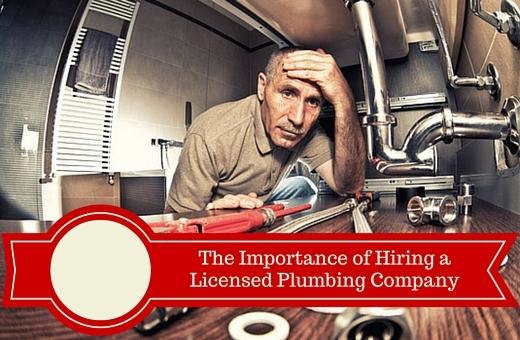 Here are a few reasons to hire a licensed and bonded plumber for any pipe-related problem. Some ambitious DIYers who’ve successfully replaced a shower-head or a sink faucet think that they’re up to the challenge of a major plumbing repair. That kind of misguided confidence can end up hurting you if you try to tackle a job that’s beyond your capabilities. Even a basic water line repair project can spiral out of control and place you at risk of injury if you don’t have a solid handle on the skills necessary for success. If you have hired general contractors to work on your home, you know how easy it is for “simple” projects to run long and exceed the budget. Sub-contractors don’t show up on time, communication breaks down and a repair or installation that should have taken days takes a week or more if you’re lucky. Licensed plumbing companies will script the job well in advance and plan for unforeseen events to ensure that things go smoothly and according to schedule. In many ways, the typical homeowner is penny-wise and pound-foolish when it comes to plumbing repair. They often look at per-hour or per-job rates when deciding on the right plumbing specialist to choose for major issues. 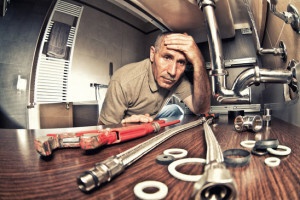 For instance, a company specializing in trenchless plumbing repair in Dallas has the tools and expertise to fix a water line malady for less money than an unaccredited freelancer. Don’t automatically assume that the off-license handymen who charge lower rates will save you money. When you go through the licensing and bonding process as a plumber, you’re demonstrating your commitment to playing by certain rules. You’re also tacitly agreeing to stand by your work and go beyond the call of duty to satisfy customer wishes. If you don’t do that, your license can be yanked and your bond can be jeopardized. Unlicensed plumbers aren’t legally obligated to do right by their clients in the same way since they’re outside of a regulatory framework. Regardless of the house or business in question, water damage is never a laughing matter. If you’re lucky, a pipe will burst and make itself apparent a few days after a freelancer or “handyman” completes a job. If you’re unlucky, the work of an unlicensed plumber will go south gradually over time and wreck your home via a slow leak. 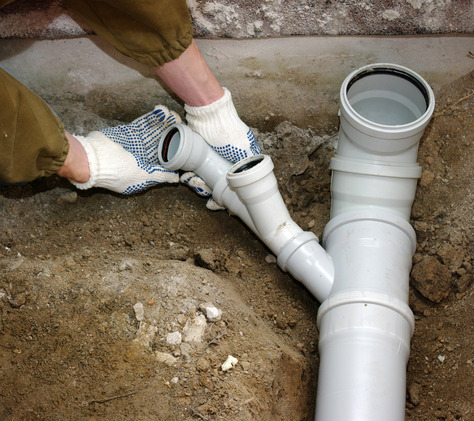 If you don’t want your sewer line repair or water heater replacement to cost you extra, opt for a licensed plumber. When plumbing conundrums occur that you don’t know how to fix, taking matters into your own hands isn’t a good idea. DFW homeowners that need expert help should always defer to licensed and bonded plumbing outfits. For all of the reasons mentioned above and more, putting your faith in an unlicensed plumbing company simply isn’t worth the risk. For the good of your home, get a plumber with a license and a proven track record. For a reliable, licensed plumber, contact Accurate Leak and Line today to find the best solution for your plumbing needs!